Fans of Line of Duty were treated to an amazing reunion with the show last night as the first episode of Series 2 left most hanging onto their seats. It was an incredible ride from start to finish and the characters remain as hard to pin down this season as in season 1 with each appearing warts and all. The episode opened with DI Lindsay Denton, played by Keeley Hawes, answering a call for support from a colleague moving a witness to another location. All standard stuff to begin with but from the moment the police officers, accompanied by 2 more officers, sat into the car with their witness in tow, all hell broke loose. An intense ambush ensued and with no immediate back up to diffuse the situation the police were like fish in a barrel. The bullets darted across the screen as the audience rooted for the cops to prevail but one by one the good guys began to fall. As the smoke cleared it became clear that only DI Denton was going to survive. Keeley Hawes does a fantastic job of eliciting sympathy from the audience, due in large part no doubt to her doe-eyed expression. But is she the straight-laced and honest officer that we'd all like to believe? A lot of attention and heat is going to come down hard on her in the next episode. As the only survivor of the ambush, she automatically sits at the centre of a massive investigation to uncover if there was an insider responsible for leading the party straight into a firefight. The fact that she has recently gone into debt may shine a lot of extra heat on her too as a possible motive for being in cahoots with the ambushers. BBC have certain standards to maintain when it comes to drama - just think Sherlock for one grade A example. Line of Duty started well with a solid first season but last nights episode stepped things up to another level as fans eagerly try to anticipate what could possibly happen next. 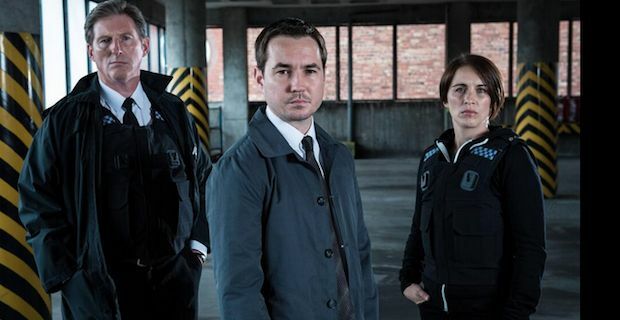 Tune in next Wednesday to BBC 2 at 9pm as Line of Duty continues to see where the investigation takes us. Was that Mike Skinner on Dr Who?